From William Faulkner to Tennessee Williams, author of A Streetcar Named Desire, famous authors loved to frequent the French Quarter and many lived here as well! See their homes and hangouts while your guide tells you eccentric stories of their lives! 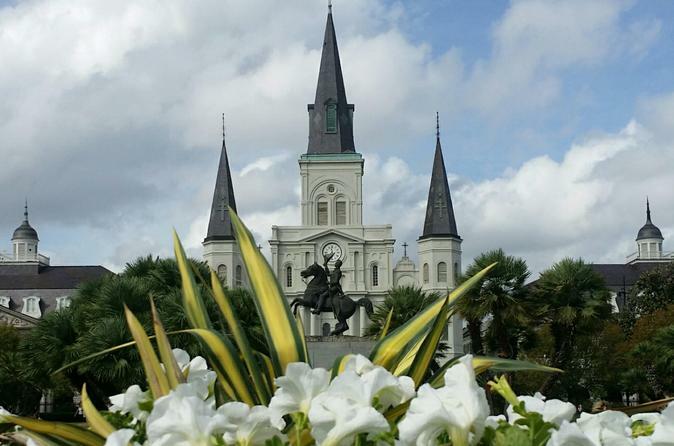 The tour will take you on a literary & aphrodisiac adventure through the French Quarter! Visit the hotel where several literary greats once stayed and one, whose parents lived here when he was born. Walk down Bourbon Street to a local bar where you will learn of an aphrodisiac, loved by many of our literary greats. Outside of varying well-known restaurants, your guide will discuss dishes created by chefs, that are considered aphrodisiacs. Your group will then move on to hear of an edible aphrodisiac and discuss the sultry side of the city of New Orleans from days gone by to the present. Afterwards, take a stroll by the homes of writers and hear even more stories of their inspirations & hilarious natures. Books in the next location are signed by various authors and are for sale. This was the home of one of our wildest authors! Head over to one of the oldest bars in the country to learn of another fabulous writer, who was a forerunner in a movement without ever having actually participated! Stop by the Voodoo shop where you will learn of the love goddesses and how to use a special oil to keep your loved one near! Aphrodisiacs are available for purchase along the way!